is the process of managing and treating wastewater from industrial applications. Industrial waste water can be far more concentrated than typical wastewater or sewage, with far higher BOD and COD concentrations. We specialize in treating such effluent, thus ensuring that stringent discharge regulations are met and water is recovered and recycled. Recycling wastewater reduces pressure on the environment and your finances. Clearfox is a recognised market leader in the design, manufacture and supply of industrial wastewater treatment plants and industrial wastewater treatment process development. Recycling wastewater reduces pressure on the environment and your finances. This allows the Clearfox team of experts to assist you and to guarantee an economically successful solution, based on your requirements. We produce all core components in-house, such as Flotation plants, Bioreactors, Sludge dewatering plants and Chemical-physical plants for precipitation and flocculation. here is a high fluctuation with seasonal peaks. The first step involves the removal of production solid wastes. The wastewater contamination fluctuates, with a high percentage of organic material (undissolved remains, greases, proteins) and with high concentrations of chlorine, cleaning and disinfection agents. The Clearfox team has built several compact plants on the Adriatic coast and the Baltic Sea, which meet the high effluent requirements for coastal waters. Additives are precisely measured out. In this type of industry, wastewater is produced intermittently. There is high fluctuation with seasonal peaks and long lull periods. During these lull periods, the wastewater can be highly contaminated and might only be cleanable with additional measures, due to the poor nutrient situation. Ingredients differ greatly, depending on the processed product and the season. The Clearfox Team has built numerous compact batch plants which are successfully operated in Eastern Europe, the Middle East and Germany. Complete treatment processes are reproduced in the control unit. In this industry, blood, product remains and fats result in highly contaminated wastewater, which is often additionally contaminated by the delivery and intermediate keeping of the animals for slaughter. In dairy industry, the wastewater differs significantly depending on the raw materials used (whey powder, fresh milk) and the product offered. The wastewater is characterised by its low nutrient value, product remains, washing water and highly disinfected content. Over the past 20 years, the Clearfox Team has successfully designed many plants all over Europe. Examples vary from a small Swiss mountain cheese producer to a large milk combine dairy in Eastern Europe. We are experts in our trade and can even provide solutions for cleaning highly organically contaminated wastewater. We have accumulated much specialized know-how in this field over the decades and our team has a high level of expertise. We can decontaminate via phase transformation or via high performance biological treatment. Dairy and cheese factories, meat processing, slaughterhouses, fish industry, wineries, breweries, food processing, oil producers and drilling companies, car washes and many more. Clearfox offers an all round service, from design through to manufacture, installation, commissioning and ongoing maintenance. We have an extensive list of reference projects throughout Europe and internationally. If you are looking for an industrial wastewater treatment system supplier, stop searching, you found us. We can meet any emission limit values required to ensure that your environmental license requirements are met. 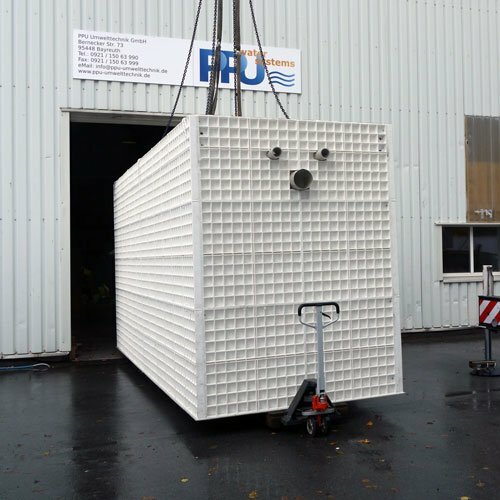 We achieve this by employing our unique variation of dissolved air flotation and other forms of advanced, yet reliable waste water treatment. Our industrial wastewater treatment plants come with an effluent quality guarantee, offering you total peace of mind. Clearfox industrial wastewater treatment plants offer a cost effective form of waste water treatment. We guarantee the lowest operation and maintenance costs, using the most modern processes. 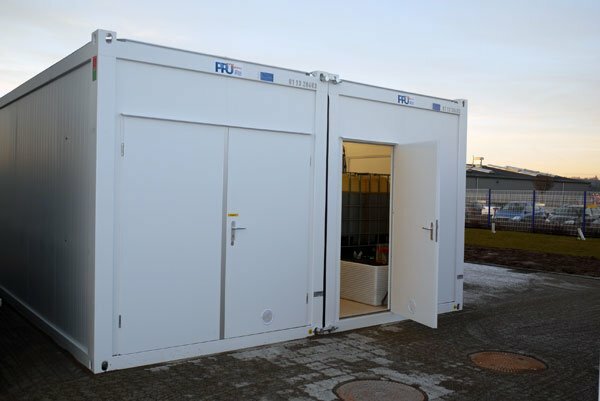 We can design systems to be incorporated to work with an existing infrastructure, completely new systems, or we can supply mobile containerised wastewater treatment plants (plug & play) can be supplied. The containerised plants have the added advantage of being modular and easy to relocate or transport. The Clearfox containerised plants are becoming an increasingly popular choice for mobile sewage and wastewater treatment. Depending on your application and international location, systems are available to either buy or rent. The ClearFox® TBZ units with automatic backward-rinsing of the pre-filter is a basic device for biological high performance water reclamation by activating agitation and fine filtration with additional aerobic biology. Contaminated water is drawn in from a storage basin, pre-filtered, thoroughly mixed with superfine air bubbles and then led back into circulation. The water is perpetually aerated, in order to aid the growth of microbes, which are able to biodegrade contaminants. The prefiltered process water is additionally cleansed of suspended particles by a cyclone process. If required, the water can be taken directly from the tank or stored in a buffer tank for a higher wash water demand. Do you have any questions about industrial wastewater treatment? Just contact us! We are happy to master your challenges together with you. 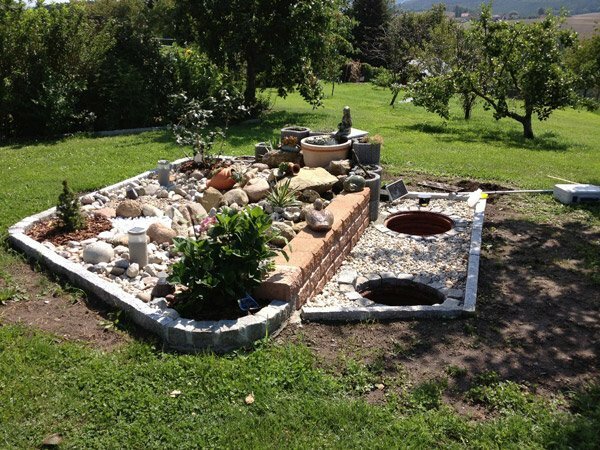 Sewage water and greywater can be seen as an untapped water resource, which is readily available. Reusing water from this resource is no longer seen as an unacceptable topic, due to the advanced technology available today and the increasing shortage of fresh water. The ClearFox® approach is to openly address this matter and to provide solutions, by offering affordable advanced wastewater treatment processes, based on the latest technological achievements in this field.